Ready for the next step to up your Internet security game? Our goal with this step is to keep your password from being a single point of failure. Not too long ago, Google launched a free two-factor authentication service, called “2-Step Verification” (2SV). 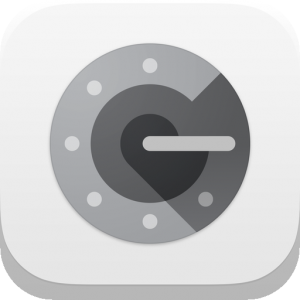 The Google Authenticator app is one way to use 2SV. 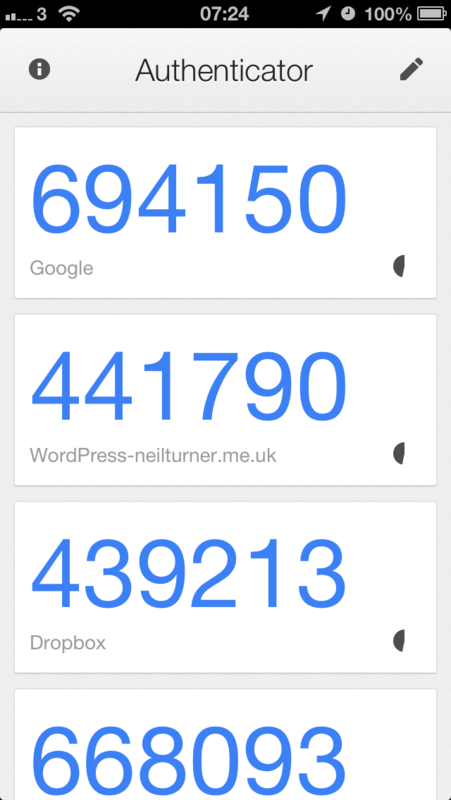 I took a cautious approach to implementing Google Authenticator (GA). I was concerned about locking myself out of an account, so I invested a little time up front to study it. Also, during sign in, you can tell Google not to ask for a code again on that web browser. This will cut down on your workload and is fine if you don’t share your computer. I went to the iPhone App Store, searched for “Google Authenticator” and installed it. There are also Android and BlackBerry versions. Then, I followed the instructions to enroll my Gmail account. As a precaution to losing my phone, I set a backup phone number (my wife’s) and I also got some pre-printed codes that I’ve put in a safe place. 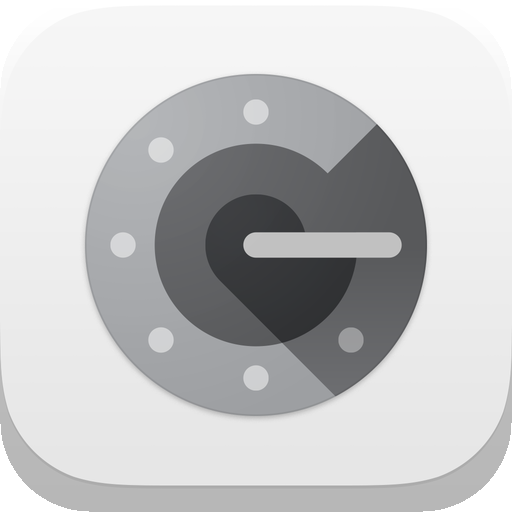 You can switch over to Google Authenticator by double-clicking on your iPhone button and scrolling to the right. Or, you can press the button once and then tap on the icon wherever it is on your iPhone desktop. Note that the codes change every 30 seconds. The codes themselves turn red when they are about to change. There is also a small count-down clock on the right-side of the screen (see screen shot below) so you can get an idea of when the codes will change. Quickly memorize the six-digit code, then switch back to the Gmail app, and enter it. The next day I noticed my Calendar iPhone app wasn’t updating. I quickly realized 2SV was stopping me, but I didn’t know how to enter a code. Turns out I had to enroll my Mail and Calendar apps by using an application-specific password. It’s not very difficult so just follow the simple instructions. 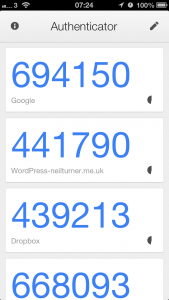 Are you ready to implement Google Authenticator? Why not? If you did already, how did it go for you?